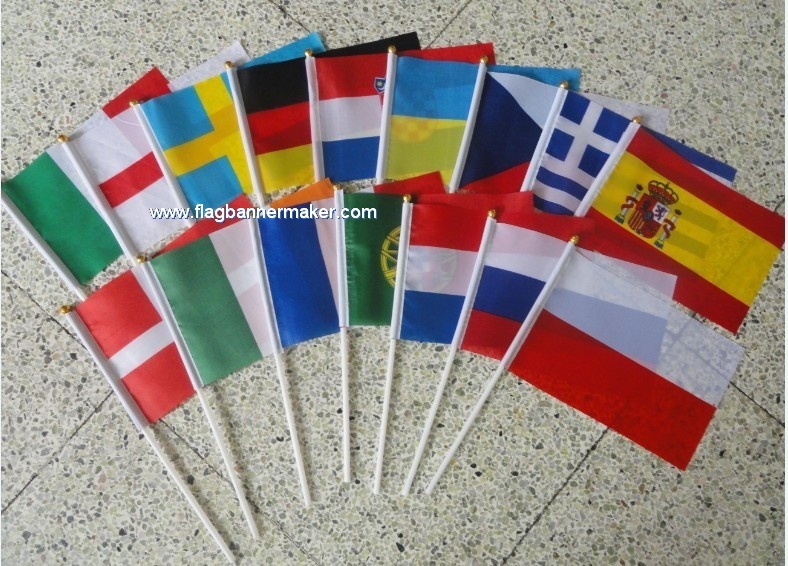 Custom hand flags are suitable for indoor and outdoor use. They are a higher quality than you can find anywhere. Most of hand flags this size are cheaply printed on coarse fabric and stapled to a wooden stick.